The only thing worse is when people leave that “100% wool” tag on the sleeve. 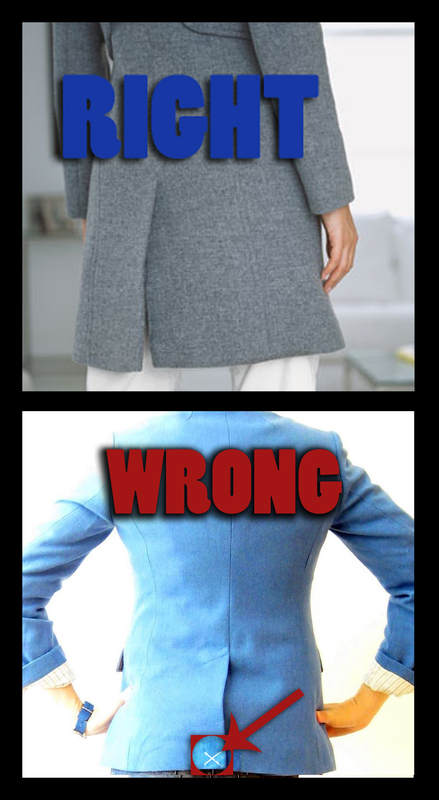 There are so many girls out there looking awesome, great shoes(in your case 4″ or taller), tights, bags, COATS, head to toe awesome, but then they have the stupid little stitch which really throws off the shape of the coat. But how are we to know? Stitches are usually supposed to stay. I learned when suit shopping years ago with the hubby and the sales guy gave him a business man to business man hint. Although this article is very helpful, the subject matter leaves a dose of humor as well. So from me one big LIKE. My poor brother once left the size sticker going down the leg of his pants. NEWS FLASH: FIRST TIME I’M WEARING THESE! hahaha love this post! i can’t tell you how many times i’ve forgotten to cut one of these stitches! OMG this always drives me crazy when I see someone hasn’t cut the stitch out of their coat (or skirt slit)!!! I always want to sneak attack them and cut it before they notice haha!